There was no way the Rangers were going to allow Devils goalie Martin Brodeur to win his 500th career NHL game at their expense on Wednesday night. Jaromir Jagr and the rookie trio of Nigel Dawes, Brandon Dubinsky and Marc Staal made sure of that, as each player scored in a 4-2 win in Newark that gave the Rangers a chance to take the division lead on Thursday. * Scott Gomez tallied two assists to extend his scoring streak to seven games, registering nine points (two goals and seven assists) over the span. Gomez has also registered an assist in five straight games and is now within three games of tying his career-high 10-game scoring streak. * Jaromir Jagr scored a goal and added an assist to stretch his team leading points total to 17 points in 18 games. * Henrik Lundqvist stopped 22 shots for his ninth victory of the season and his first win on the road. He is now 2-2-2 in career games played at New Jersey. 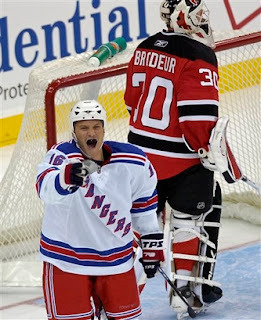 * The Rangers started a season series 3-0-0 against the Devils for the first time since 1993-94. * The Rangers have allowed only 32 goals in 18 games, making them the league's No. 1 defensive team. 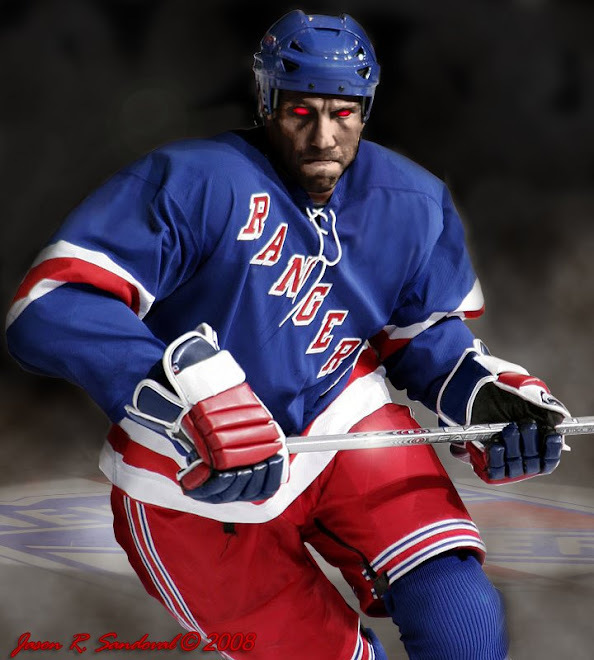 * The Rangers killed all five New Jersey power plays and have now killed 36 of the last 38 power plays they have faced.